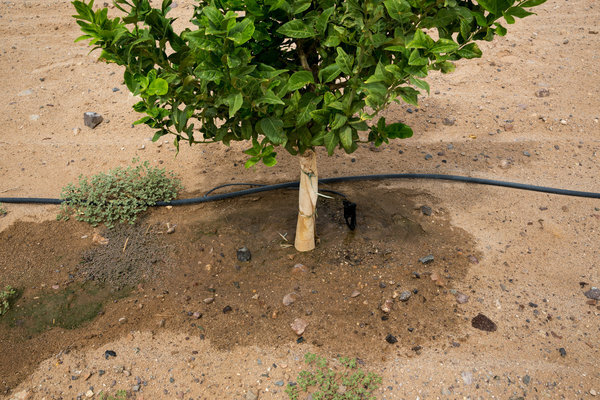 Drip-irrigated lemon orchards at the Cadiz water project in the Mojave Desert. Gazing out of a turboprop high above his company’s main asset — 34,000 acres in the Mojave Desert with billions of gallons of fresh water locked deep below the sagebrush-dotted land — Scott Slater paints a lush picture that has enticed a hardy band of investors for a quarter-century. Yes, Mr. Slater admits, his company, Cadiz, has never earned a dime from water. And he freely concedes it will take at least another $200 million to dig dozens of wells, filter the water and then move it 43 miles across the desert through a new pipeline before thirsty Southern Californians can drink a drop. But tapping cash, as opposed to actual water, has never been a problem for Cadiz. “I think there’s plenty of money out there,” Mr. Slater said. Real profits may be nearly as scarce as snow in the High Sierra, but Wall Street, as it is wont to do, smells profit as California endures its worst drought in decades. So far, though, this veritable Gold Rush has mostly turned up fool’s gold. 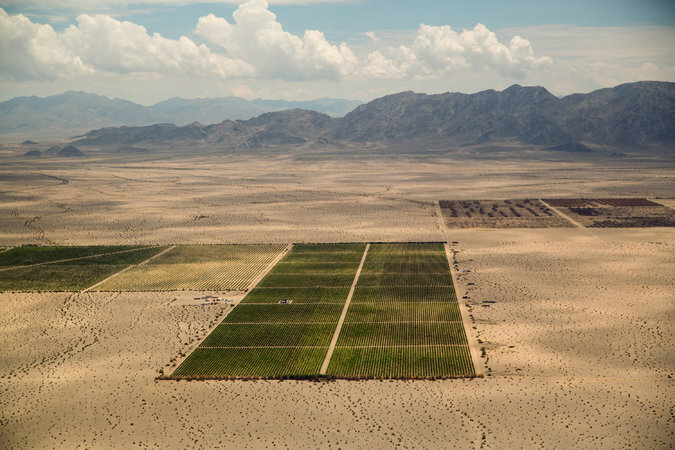 Over the last decade, Cadiz has accrued $185 million in losses, and revenue from the lemon groves and vineyards it owns in the Mojave has added up to only a trickle: $7.1 million total since 2005. To develop the project, the company burns through $10 million to $20 million annually, paying for a never-ending battle in courthouses and conference rooms across California to win make-or-break government permits and to cover the salaries of its 10 full-time employees. Cadiz has generated that money by borrowing and regularly issuing more shares, prompting skeptics to wonder if it will ever actually deliver any water, much less any profits. “It’s a tough game,” said John Dickerson, chief executive of Summit Global Management, a 20-year-old San Diego firm that invests in water infrastructure companies, local water suppliers and water rights, both in the United States and overseas. Other water ventures have also promised more than they have been able to deliver, at least so far. Obstacles abound in the forms of skeptical regulators, wary customers and implacably opposed environmental groups. But some projects are finally nearing fruition. Near San Diego, the privately held Poseidon Water is getting ready to flip the switch on a new desalination plant that it built after 15 years of battling lawsuits filed by environmental groups and waiting for go-aheads from cautious regulators. The drought, however, hasn’t softened local opposition to private players like Cadiz or Poseidon entering California’s water market. A main reason is money. After Poseidon’s new plant begins producing desalinated water late this year, the monthly water bill for a typical consumer in the San Diego area will rise by about $5, to $80, according to the San Diego County Water Authority. Located on the grounds of a power plant in Carlsbad facing the Pacific Ocean, the facility should produce as much as 50 million gallons of drinking water a day, if not more, expanding the region’s water supply nearly 10 percent. Nonetheless, for Adam Scow, California director of Food and Water Watch, a nonprofit environmental group that opposes the desalination project, any private control over the water supply is too much. Poseidon officials reject arguments from critics like Mr. Scow that they are taking advantage of consumers. Indeed, despite fears that Wall Street is making money off the drought, so far it has mainly been Poseidon’s investors who have been on the losing end. The company’s first return on its investment is not expected until next year, after years on the drawing board. A similar Poseidon project up the coast in Huntington Beach is still mired in the permitting process. But for those with a long enough time horizon, water may ultimately prove to be a good investment. Their firm now oversees more than $500 million for pension plans, sovereign funds and wealthy families, and their flagship fund has generally outperformed global stock market benchmarks since inception in 2006. 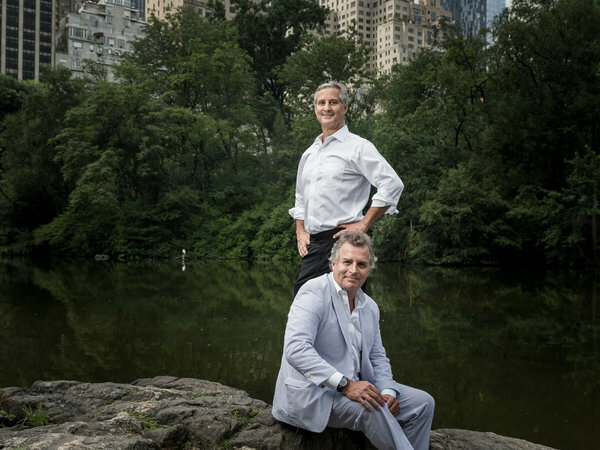 Assets at Impax Asset Management, a London-based firm that also focuses on water, have doubled to $1.8 billion over the last two years. While some projects may be more far-fetched than others, experts involved in the business insist there’s nothing wrong with making a profit selling water. “It takes money to process, treat and move water, but now water itself is becoming increasingly valuable in the West,” said Steve Maxwell, a veteran industry consultant who is based in Boulder, Colo. Many investors are looking for less risky ways to make money in the water business. Rather than wade into bruising battles over water rights or developing new supplies only to face accusations of trying to profit off the drought, investors like Simon Gottelier of Impax are focusing on companies that supply infrastructure to water utilities and industrial users, not the water itself. For Impax, that means there is appeal in stocks like Xylem, a maker of pumps, filtration equipment, and water treatment and testing supplies. Other Impax holdings might include makers of reverse osmosis membranes, like those at the heart of Poseidon’s new desalination plant, which Mr. Gottelier visited in June. 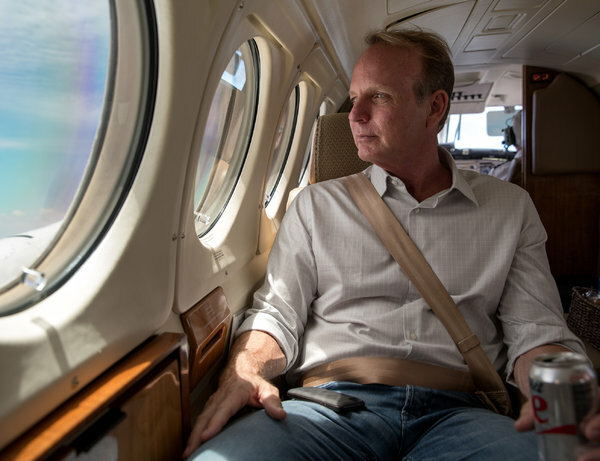 He sees California’s water shortage not just as a driver of demand for the individual companies in his portfolio, but also as a spur to individuals and institutions wanting in on the water trade but not ready for moonshots like Cadiz. “There has been a dramatic increase in real and potential investor appetite,” Mr. Gottelier said. Much of the cash flowing into Impax is from institutional clients in Europe, where for-profit water systems have a long history, in contrast to the United States. Back in the Mojave, in a trailer alongside a sun-baked airstrip built by Cadiz, Mr. Slater likes to show visitors a video of what appears to be an underground river 400 feet below the sand and sagebrush. 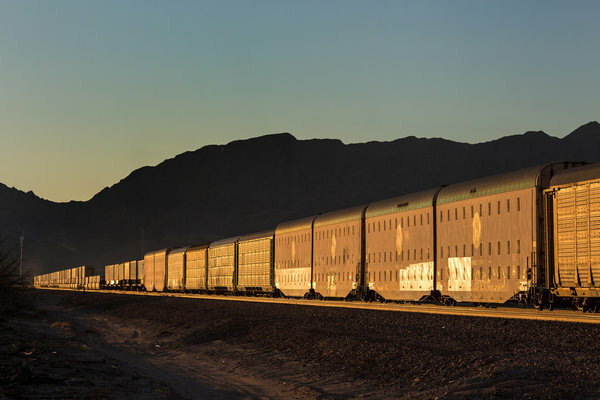 As the temperature hovers at 95 degrees outside, the sight of all that crystalline, cool water conjures up visions of an imaginary oasis shimmering in the distance, drawing wanderers ever deeper into the desert. But Mr. Slater insists it is within reach. Correction: September 24, 2015 Because of an editing error, an earlier version of this article misspelled the surname of an executive at Water Asset Management. He is Disque D. Deane Jr., not Dean. The error was repeated in an earlier version of a picture caption. Global Drought: Why Is No One Discussing Fresh Water At COP 21? Around the world, fresh water supplies are drying up: California in the US and São Paulo in Brazil are enduring historic droughts, groundwater sources have been plundered in south Asia, and globally more than 750 million people lack access to safe drinking water. The global fresh water shortage is one of the world’s most pressing challenges, yet the issue is not scheduled to be discussed at Cop21 – the UN’s climate change conference – in Paris this December. Those working to deliver water to communities or conserve fresh water sources have a duty to demonstrate ways to adapt to climate change and help policymakers understand the importance of water in a warming world. NGOs, businesses and others working in the sector must build alliances to show how to improve the world’s water problems, such as making the transition to solar energy or planting drought-resistant crops. This was the central message of a panel discussion, organised by the Guardian and the Stockholm International Water Institute (SIWI), and sponsored by Fundación Femsa, which creates programmes focused on conservation and the sustainable use of water. The panel discussion was held at SIWI’s annual World Water Week conference. Although Cop discussions have been held for the past 20 years, the issue of fresh water has not been part of the official agenda, even though it is so closely linked to climate change. However, there was some debate around whether or not water needs to be included in the resulting climate change agreement from Cop21. “One of the things I’ve seen throughout all these years of Cop talks is that even if the topic is not present [in the text], the water still creeps in,” said Vidal Garza Cantu, director of Fundación Femsa. Encouraging governments and policymakers to look at how water is essential to their biggest priorities, such as energy supply, could also help, said Dominic Waughray, head of public-private partnerships at the World Economic Forum. This highlighting of the risks of using water so recklessly has encouraged action in the private sector. “We have looked at our business risk and understood how climate change and water issues are going to change how we do business in 10 or 20 years’ time, and impact on our profitability” said Ellen Silva, senior manager of applied sustainability at General Mills. Collaboration was frequently proposed as a way to see water included in climate change discussions, with many recognising that, in the past, some of the most effective alliances were formed on the sidelines. Waughray cited the New York declaration on forests, a commitment by world leaders to end natural forest loss by 2030 that grew out of the secretary general’s Climate Summit in 2014, as a successful example in the forestry sector. The issue of finance, and how to obtain funding for climate change adaptation and mitigation projects, was raised by several of the expert panellists. The water sector must reach out to governments that can make changes, support ideas around adaptation, and put the financial resources in place, said Braga: “You have a beautiful declaration, you commit to this and that, but where is the money going to come from?” The goal, he said, is to motivate governments to contribute to a fund that will support poor countries already facing the effects of climate change to become more resilient. The chair of the debate, Karl Mathiesen, however, questioned whether or not such a financial mechanism already existed in the form of the Green Climate Fund – a framework established by the UN Framework Convention on Climate Change – to redistribute money from developed to developing countries, to fund adaptation and mitigation initiatives. Braga said yes, that is the purpose of the fund, but that until now it has focused on reducing carbon emissions and not measures such as building water infrastructure and supporting water governance. Tickner stressed the importance of water professionals being involved in the planning and design of any financial mechanisms geared towards funding climate change adaption and mitigation measures. As for the types of initiatives water professionals show to decision makers, Tickner had a range of ideas: “We could show how you can conserve areas such as peatlands or wetlands, which are important carbon sinks. “We could help to show how you can zone river basins to get the maximum sustainable hydropower out of them, without screwing up ecosystems. “We could work on demand management for water. We can show urban spatial planning and its win-wins for water, climate, biodiversity and health. There are 101 things we can do that would be positive, full of great opportunities and will produce mutual benefits.